To create new sustainable revenue in businesses looking to evolve their digital health and population management platforms. A recognized leader, public figure and gentle visionary in the field of digital health and advanced technology for cybernetics with deeply philological and practical roots. For the past decade, Chris Dancy has been a pioneer in personal health data and a recognized global figure for consumer health applications and services. Companies from FitBit to Google has consulted with Chris for his unique approach to creating and delivering successful new revenue to organizations. 2018 -”Don’t Unplug - How Technology Saved My Life and Can Save Yours Too” Released. Don’t Unplug companion site for Digital Wellbeing Tips and Products launched. Consulting for Pitt School Medicine! 2017 - Sabbatical to finish forthcoming manifesto and autobiography on digital health for St Martins Press. Signed to Greater Talent Network at UTA company for entertainment and speaking. 2016 - Showtime special featuring life as patient zero in the digital health revolution. Founded micro-services platform for population health, Compassware. 2015 - First to market with consumer wellness application “Compass” utilizing behavior as a platform and social graph as a communication engine for behavior feedback. 2014 - Cover of BusinessWeek Global Tech issue, TEDx Austria, Fox News, globally recognized leader in digital wellbeing, wearables and connected health systems. 2013 - WSJ, TechCrunch, BBC, Wired Magazine for connected personal health platform. 2012 - First to market with innovation award-winning MyIT product at BMC Software. 2011 - First to market with innovation award-winning social feed for Enterprise IT management at ServiceNow. 2010 - M&A of IP from ServiceSphere to Pink Elephant corporation. 2008 - Founder SaaS startup ServiceSphere. 2000s- Enterprise IT architecture to migrate businesses from LANS to Cloud. 1990s- Technological mastermind behind early windows networking for electronic medical records and billing at Medical Manager a WebMD company. Coke, Google, Starbucks, Air New Zealand, Healthways, Nike, Microsoft, Citrix, HP, American Banker, Microsoft, Canadian Marketing Association, Cannes Lions, HiMMS, AHIP, Wunderman, Food and Beverage Association,The Clinton Foundation, 10 Downing Street, LDS Church, Salesforce, Intel, Humana, Flextronics, Nestle, University of Pittsburgh Lab on Chronobiology, and Telia. ORGANIZATIONAL SUMMARY: Compassware delivers B2B a digital therapeutic and adherence platform for population managers. State of the art “turn by turn” directions for patients with "just in time" context sensitive instruction sets, drive adoption, adherence, and success in wellness and diagnostic programs. Driving force behind customer acquisition, technological development, and marketplace voice. Board of Directors and advisors support. Lead insomnia treatment plan transaction from the web to mobile. Created, defined and brought to market cloud architecture for the digital therapeutics platform. Keynotes at multiple international and industry events. Secured customer deals worth 1M in revenue in the first year. Working with the scientist to transform outdated data collection methods to updated low friction methods. Demonstrating the value our organization could bring to our struggling customers. Maintaining the balance between culture and product delivery. Wearing all the hats, at once, on top of each other, inside out at times! ORGANIZATIONAL SUMMARY - Healthways, our business is improving well-being. Understanding needs of customer populations. Engaging individuals in sustained behavior change that helps them live longer, happier, more productive lives. System and Methods for Generating Insight, Predicting Behavior and Encouraging Presence for Individuals and Groups through Personal Data Aggregation. Intellectual property reviewed by ShareCare Sept 2015 and later acquired by ShareCare July 2016. Assisted CEO for corporate M&A. Analysis of current book of business and product offerings of Healthways products, evaluation on technical merit and consumer adoption. Lead internal effort to refresh population health platform. Created, defined and brought to market mobile architecture for the digital population wellness platform. Coverage in Venture Beat for the Product offering. Lead business development effort for the state of Hawaii. Digital health marketplace definition and analysis. User experience / User interface advancements using contemplative technology. In-depth understanding of health venture capital. ORGANIZATIONAL SUMMARY: BMC is a global leader in innovative software solutions that enable businesses to transform into digital enterprises for the ultimate competitive advantage. Recruited and hired by CTO, Kia Behnia, as director in the office of the CTO tasked to serve as liaison with technical teams and marketing teams to bring to market a location-based mobile product for enterprise IT management in under 12 months. Mobile data strategy for context awareness for health and IT. Press trained with influence in Public Relations. First to put company in tech press such as Wired and Tech Crunch. Accepting Innovation of the year for our go to market product. Mentoring team members from across the organization. Managing public image in the face of corporate interests to go private. 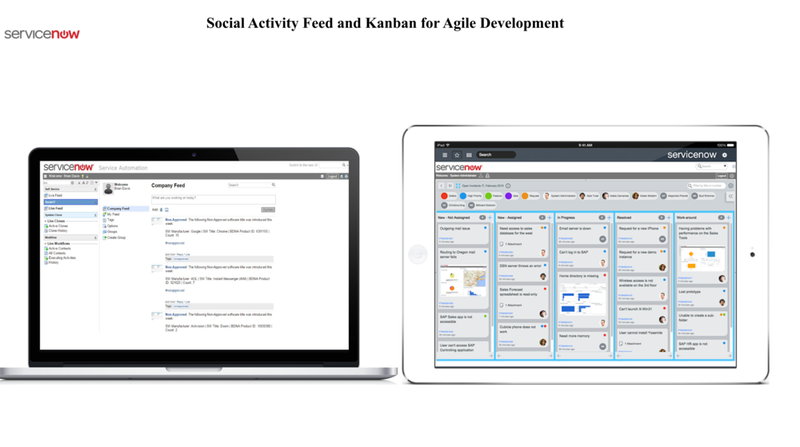 ORGANIZATIONAL SUMMARY:ServiceNow makes work better across the enterprise. Getting simple stuff done at work can be easy, and getting complex multi‑step tasks completed can be painless. Our applications automate, predict, digitize and optimize business processes and tasks, from IT to Customer Service to Security Operation and to Human Resources, creating a better experience for your employees, users and customers while transforming your enterprise. Recruited and hired by the CEO, Fred Luddy, role was to support technical disruption in the IT enterprise management space with duties from product management to roadmap strategies. Additionally served as a public facing figure to generate news and media for the company to go public. Advisor to CEO on mobile innovation. Social feed ideation and integration. Emcee at corporate conferences in EMEA. Created first worldwide 24-hour conference using google hangs in cooperation with Google. Creating the social feed for the cloud platform. Working with executive leadership during formative years of the companies growth. Pink Elephant is a premier global training & consulting provider in ITSM, organizational change, project management, & business relationship management. Digital Engagement Director tasked to support training and conferences around social, mobile and location-based strategies. Implementation of curriculum for IT education based on emerging technologies. Role bundled with intellectual property acquisition. Go to market strategy for course offerings via social media. First live stream of conference event. Global event for IT “Make-Over” year long project. Organization of location-based mobile strategies for 2011 conference. Assisted business development teams in sales closing process. Drove conference attendance via innovative community engagement. ORGANIZATIONAL SUMMARY: Servicesphere was founded as a global provider of SaaS software solutions for the IT Service Management industry and a provider of technical process management consultancy. Lead the company to new partnerships, sales and industry disruption. Hire and manage personnel in global offices in Malta and New Zealand.